Management and coordination of the North-Northwest high speed corridor projects. Madrid-Galicia high speed railway line. Section: Lubián-Ourense. Section length: 84.7 km. The contract includes coordination and assistance services to the managing authority during the definition of the actions involved in the detailed design of Lubián-Ourense high speed line. This project aims at the construction of a 104-km double-track line, with standard gauge (1,435 mm), only for passengers transportation, with a maximum gradient of 25 thousandths. Owing to the complex orography of the area and after the layout analysis, the solution initially proposed, which consisted in the doubling of the existing track, was dismissed. 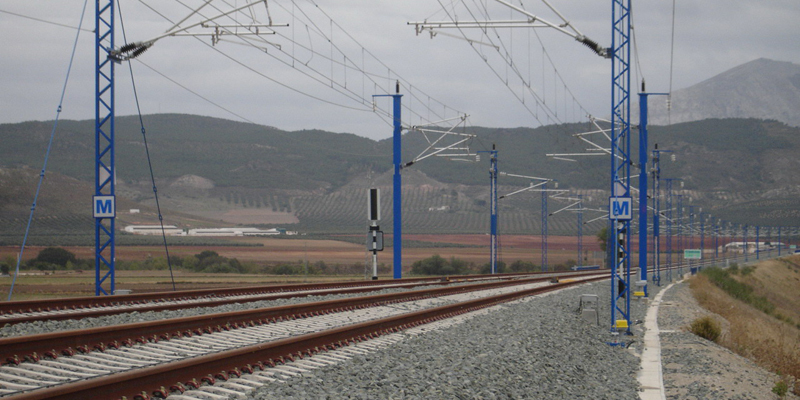 Therefore, supervision and consulting services were provided for the design of a new track alignment to solve the disadvantages of the former one, as for example, interferences with current traffic flows, and to substantially decrease commercial travel-times between Madrid and Ourense. In this way, it was outlined the construction of single-track separated platforms, suitable for speeds of 350 km/h, in opposition to the 220 km/h speeds contemplated in the initial design. It is noteworthy to mention the construction of several twin-tube tunnels up to 8 km in length, which required a deep analysis and strong coordination of works in order to optimize deadlines and construction methods. At present, the initial line sections from Lubián are at the stage of definition of construction methods, while the line sections close to Ourense are already under construction.